Explore our range of suit jackets to discover impeccable attention to detail, luxurious linings and flawless finishes. Available in a range of fits and weaves, Tyrwhitt suit jackets pay tribute to traditional English tailoring, with timeless designs mean they will never date. 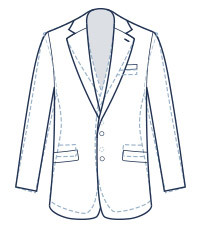 Classic fit jackets are wider at the waist and longer in the tail. Pants are fuller in the leg, with a standard height waist. 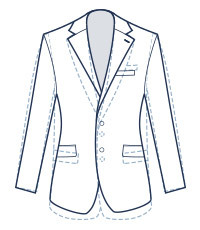 Slim fit jackets are tapered in the shoulders, chest and waist for a more defined silhouette. The pants are slimmer in the leg with a lower rise.